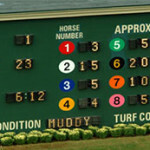 What type of horse race bets can make you richer? Betting money on horses can be a stressful event as you never know if your horse will be the first to cross the finish line. When making a bet, you should always keep in mind that anything can happen and should your horse win, there is good chance that in the next race, that particular horse will not make the cut. So then how do you know which type of bet to use and when to use it? When placing this type of bet, you choose to play and place bet on a specific horse to win. If he or she does, you collect your winnings. A good example of such bet type would be when you bet $5 on a horse race and its odds are 10-1. Should that horse win, you get $50 and if that horse loses, you get nothing. With this type of betting, you can bet on any horse you think would come in second. If that horse wins, you can collect your winnings. Similar to Place, you can bet on any type of horse to come in third. The exception here is that when that horse comes in second or third, you can collect your winnings. In this betting type, you can bet on any horse for that race. Should that horse finish first, second or third, you can collect your winnings. When wanting to make a bet in a Pick 3 category, you can bet on the winners for the races in a row. If your picks are correct, you win. Although very hard to do this, you can make a bet for the winners of 6 races in a row. However if you win, you can get a huge amount of cash. When choosing to play a daily double, you can pick the winners of the first two races of the day. These bets should be done before the races start. With this type of bet, you can pick two horses that will either finish first or second. If these horses finish either second or third, you win. Similar to Quinella, you can pick horses that will either finish first, second or third. If these horses finish first, second or third, you win. True by its name, you need to pick the horses that you think will place first and second. If these horses win in the correct order that you chose, you win. Here you need to choose the first, second and third place finishers and should they win in the correct order you placed your bet, you can collect your cash. When you make a bet of the top four horses in a row and in the correct order, you can win big and take home some serious cash!